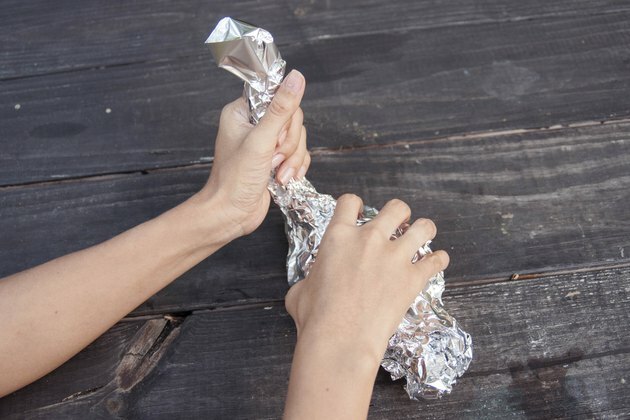 Impress your guests by wrapping leftovers into a swan-shaped package to sail home with them. 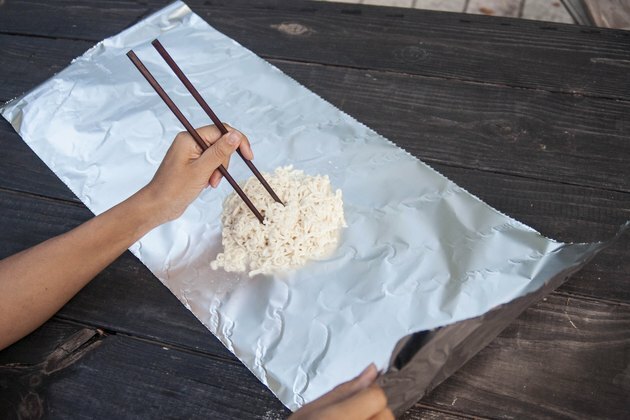 Aluminum foil folds and molds into a simple but elegant food carrier, often used in Asian restaurants to box food-to-go after a meal. 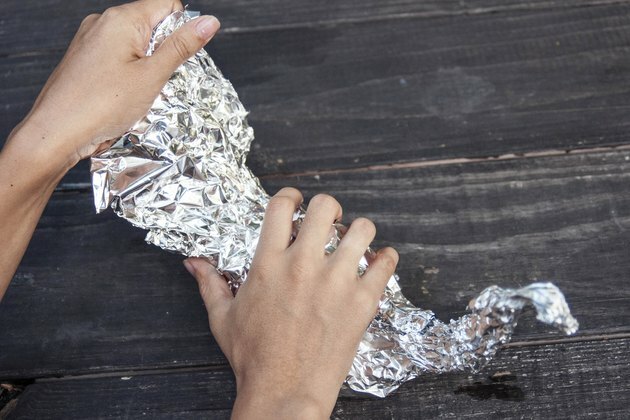 Foil swans are a thoughtful touch for care packages of homemade treats as well. 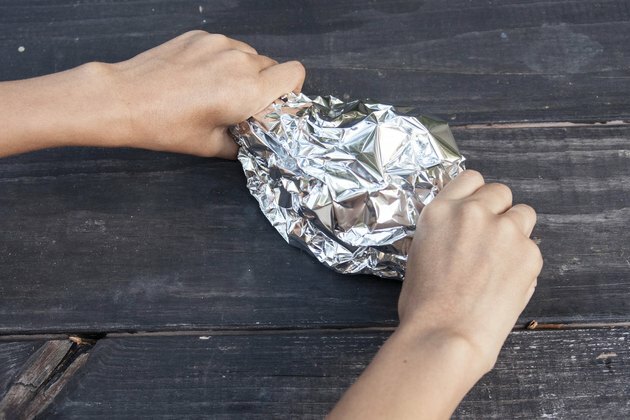 Lay a large piece of tin foil on a flat surface and put the food in the center. 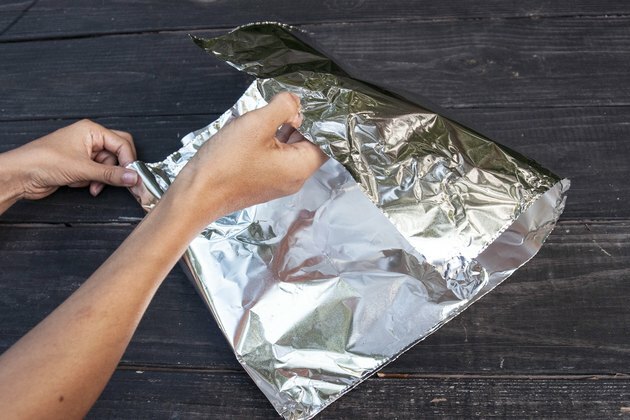 Fold one long side of the tin foil over and tuck it under the food. Fold the other long side over and wrap it snugly around the food. 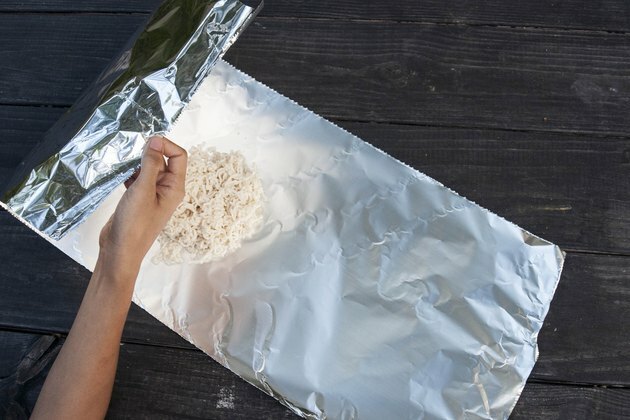 Twist the foil on each end of the food so it makes a tight seal. It will look like a piece of wrapped candy. Twist one end around into a neck that arches slightly and bend the tip over to form a beak. Fan out the other end for the tail and tuck the tip of the end back into the twisted base.